People and pets prefer hexagonal water, which is comprised of six molecules of water in a ring-shaped cluster, which allows it to permeate your cell walls. In nature, it is found in the water from melting snow or ice. It can be produced by ionization of water containing certain alkaline minerals such as calcium, potassium, sodium, and magnesium. Kangen Water reduces the size of the water molecular cluster by two-thirds with the water taking on this hexagonal geometry. The amount of hexagonal water produced by electrolysis depends on the plate size and the wattage of the device. 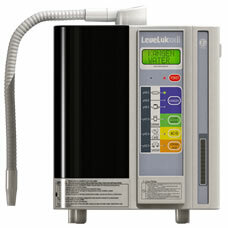 pH is the measurement of the acid- alkaline balance in the body. The pH scale is logarithmic in that each increment is Ten times greater than the previous. The scale runs from 1 to 14 with 1 being complete acidic and 14 being completely alkaline. Both extremes are detrimental to all life forms. The human body strives to create a homeostasis very near to 7 with the blood requiring to be in a very narrow band of 7.35 to 7.45. 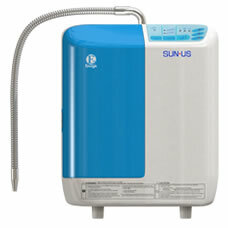 Kangen drinking water is delivered at 7.0, 8.5, 9.0 and 9.5 pH. 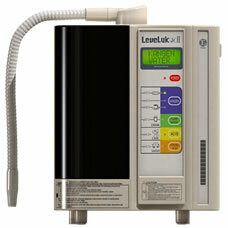 The later three water outputs provide a means by which the body’s alkalinity can be raised. The other settings are 2.5 for sterilizing and disinfecting, 5.5 for skin care (the skin requires to be acidic), and 11.5 for emulsifying oils and cleansing. Alkalized Kangen gives you the ability to neutralize the typical acidic Western diet. Free radicals are atoms or molecules, which contain unpaired electrons (such as active oxygen) and therefore seek out electrons from another source, from your energy reserves, damaging/aging your body. Your body naturally creates these free radicals as a part of the oxidation process of every day life. “If we can find an effective method to block the oxidation of healthy tissue by active oxygen, then we can attempt to prevent disease” says Dr. Hayashi, Director of The Water Institute in Tokyo, Japan. Kangen water is substantially electrically charged and therefore greatly enhances the body’s means to neutralize and extinguish free radicals reducing the oxidation process (aging) in your body allowing you to have more energy to perform the tasks of life. Normal tap water measures approximately 400 mV of positive charge while Kangen water measures from –200 to –800 mV of negative charge. The difference being that your body has to supply energy to the water that is positively charged in order for it to be useful. The Kangen Machine does that work for you by negatively charging the water. As good as Reverse Osmosis water has been for so long, most recently we have come to understand that it leaches the essential minerals Calcium, Magnesium, Sodium and Potassium from your body, minerals required for the body to survive. Aquafina, Danasi and other bottled waters are simple RO water, some of which add non-absorbable minerals back into the water. Most Americans are chronically dehydrated (especially senior citizens) regardless of the amount of water they consume because you are only able to absorb a small percentage of most waters (typically less the 25%). A 1% drop in hydration equates to a 5% loss of cognitive ability. Dehydration leads to headache, arthritis, constipation, etc. The single most important thing that you can do to recreate wellness in your body is to drink Kangen water. 2 America Journal of Nursing, Tainted Water on Tap, Nov 2005. 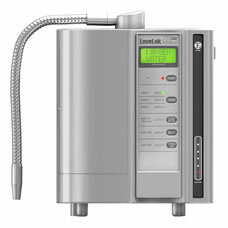 The Kangen water system has a replaceable filter that removes chlorine, fluoride, and heavy metals. Kangen does not remove the essential minerals Calcium, Sodium, Magnesium and Potassium, which are alkalizing buffers for proper digestion. These minerals are completely removed in reverse osmosis waters and therefore these waters are detrimentally impacting your body by requiring the body to use its own supply (like the calcium in your bones) to process this water. We have enhanced the system with the prefilter (see tab above for more details) to ensure ourselves of having the cleanist possible waters for all the applications provide by the Enagic including the 7.0 neutral clean water that is simply filtered water. Note: ORP (Oxyidation Reduction Potential) is a measure of anti-oxidant power and is measured in milliVolts (mV). A negative ORP means that a substance has free electrons (Hydroxyl ion/OH-) to donate. A positive ORP solution absorbs free electrons robbing your body of its inherent energy (i.e. accelerates aging), and is considered to be a pro-oxidant.